THE AuxLoc® IS THE QUICKEST, MOST EFFECTIVE WAY TO SECURE A CLASSROOM DOOR IN AN EMERGENCY SITUATION. The Classroom DOOR lock that protects STUDENTS AND TEACHERS from violent intruders. School safety and security begins with securing the classroom. 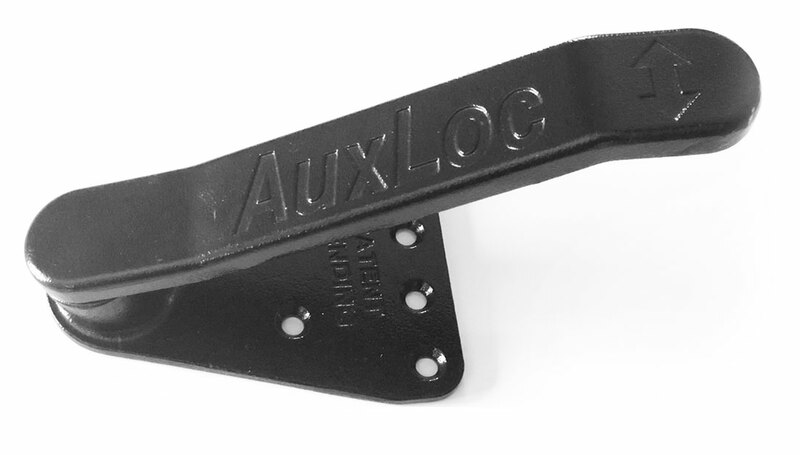 The AuxLoc® is a lockdown solution that does exactly that. Our patented classroom door lock bolts onto the inside of outward-opening classroom doors. When engaged, a steel latch secures your classroom door from any and all outside entry. One of the most practical school security devices on the market. The AuxLoc® is by far one of the best designed and cost effective safeguards a school district can purchase to help protect our children. While nobody wants to imagine acts of violence inside their own school, we can all agree that it’s important to minimize risk with proactive security measures. During an active shooter situation or other lockdown event, students and teachers may need to shelter in place behind a locked classroom door. Therefore it’s vital that teachers have a way to lock their doors quickly, without having to leave the classroom. 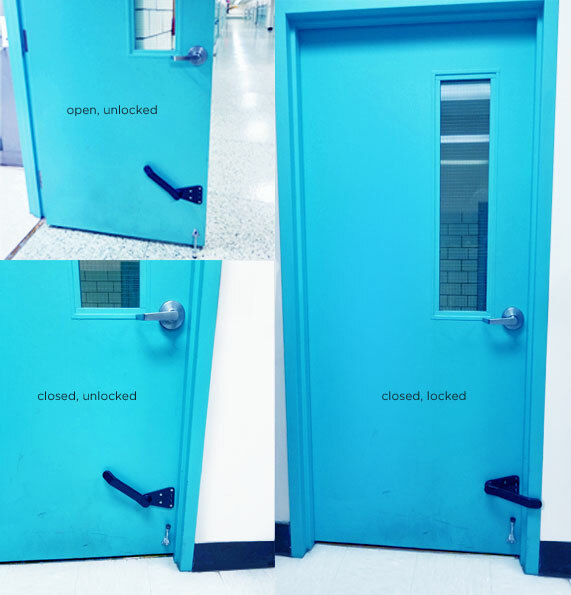 AuxLoc® provides teachers with the ability to lock their classrooms quickly and safely from the inside. To clarify, most classrooms doors are outward-opening and lock via key from the outside. 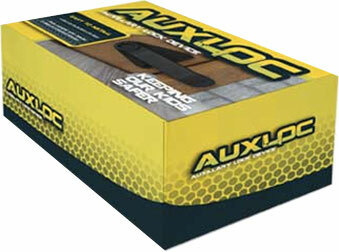 The AuxLoc® is the perfect add-on for enabling safe locking capability from inside the classroom. For instance, our classroom door lock will never, even in case of failure, impede or prevent the emergency egress from a classroom. In other words, our classroom lock can be instantly unlatched in case of fire or other emergency that requires occupants to evacuate. Also, unlatching the AuxLoc® from the classroom side of the door does not require the use of a key, tool, or special knowledge. And lastly, only one releasing operation is necessary to unlatch the AuxLoc® after it has been latched. Start the process of making your school safer with AuxLoc®.